This is my version of the Sea Breeze Mini Quilt (pattern by Canoe Ridge Creations), with the quilt-along organized by Angie of Gnome Angel.More details here. I started this in Minnesota and finished it at the airport in Seattle. They have high-backed rocking chairs in their open and sunny central terminal! Our grandchildren love this white rocking chair. But I think it makes a great photo prop. This was a fun project. Thanks, Angie, for organizing it! You can read a little interview she did here, with answers to some fun questions. I hope you will check out all the other versions of this sweet mini. Very nice Cindy! I was very lucky to see it in person during construction! Cool finish! Love how it turned out. I'm impressed with how fast you put it together. Is that the new Oakshott? Absolutely beautiful. I'm really liking all the minis that I'm seeing. It looks terrific. That backing is so much fun. Very sweet little quilt Cindy. Beautiful - sweet with just enough drama! 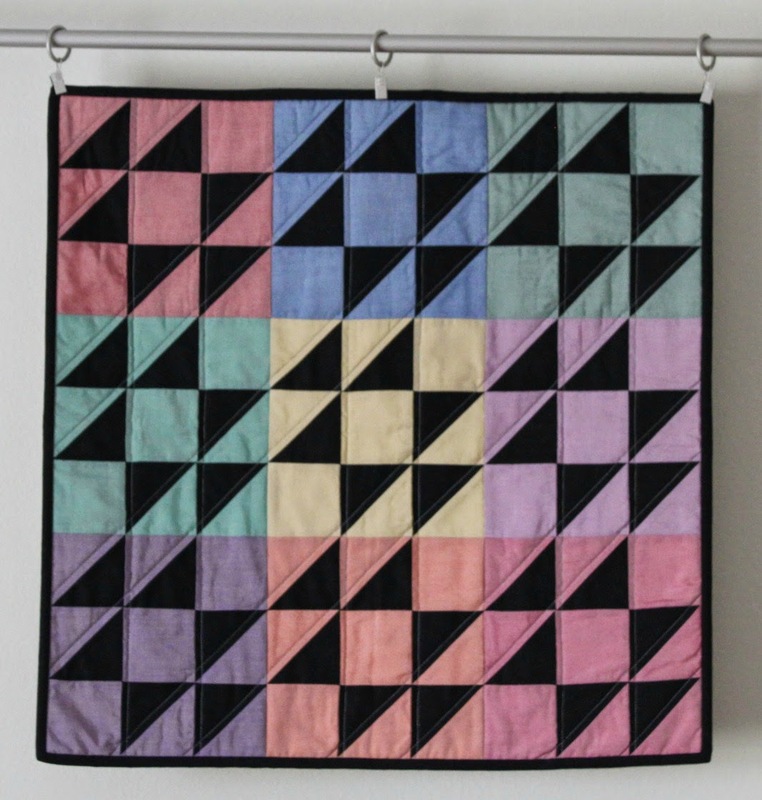 Very beautiful little Amish quilt! I love your last picture! Nice work. It does remind me some of the Amish quilts. Working with solids does feel different than using so many patterned fabrics. 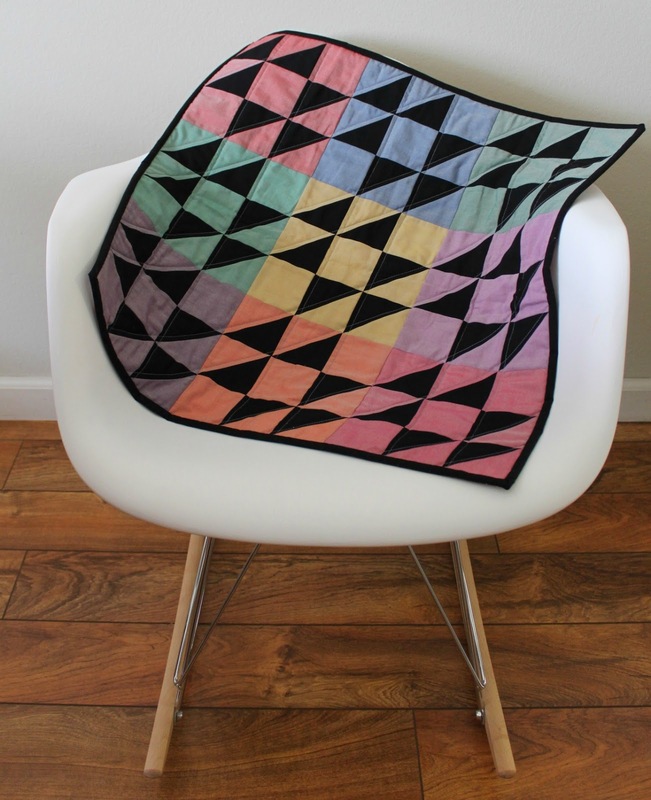 I love this little quilt, Cindy--so terrific! I love the white chair for a backdrop, but who can beat that photo of the quilt near the airplane? Wowsers!